PCD Franchise for Critical Care Range – Intensive care medicines have been rising in demand due to an increase in the number of surgeries, treatments, and accidents. One surely can flourish a good Pgarna franchise business here. 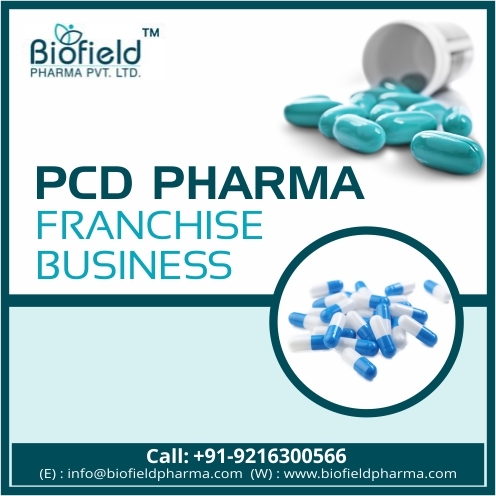 Biofield Pharma, top pharma franchise company, offers, PCD franchise for critical care range medicines & products. These include antiseptic medicines, antibiotic tablets & injections, topical creams, ointments, syrup ranges, analgesic medicines etc. DCGI accredited products at best rates along with good business scope is brought to you. Critical Care Medicines range has a high demand in the market. Since these medicines are very less ventured, there are very fewer pharma companies that manufacture these medicines. Biofield Pharma is among the top most pharmaceutical companies that are engaged in formulating innovative and effective critical care medicines. As well as it facilitates its associates with the distribution services of these medicines. The company offers the monopoly-based PCD Franchise for Critical Care Range. The scope of the PCD Franchise for critical care medicines is good for investment. Biofield Pharma is offering various opportunities with different schemes and profits. To know more about franchise business, visit our website INFO@BIOFIELDPHARMA.COM or can call us at +91-9216300566, +91-98884-21594. What are Critical Care Medicines and its Scope for Pharma Franchise? Critical care medicines are used under intense conditions to support the life threatened because of respiratory failure, organ failure or multiple organ failure. These medicines give potential to patients to sustain life. The Medical Sciences is developing day by day and making it possible to get the treatment of deadliest illness. According to some Research’s analysis that indicates that the global critical care market is still an unexploited market. But, innovation and formulation of medicines are leading this sector for the higher rank. The increase in demand for these medicines has been increasing with the launch of new products. The market is expected to grow at a CAGR of 5% to reach $3.2 billion in 2019. So, there is a good scope in investing in pharma franchise for Critical Care Medicines Range. Biofield Pharma is offering all such medicines for PCD Franchise that are used in Critical or incentive care units. We provide a wide range of medicines for pharma franchise for critical care range. We use the best quality chemicals and raw material for the manufacturing of our formulations. The company has a stringent quality policy which is supported well by its fully integrated infrastructure and manufacturing procedure. The manufacturing unit follows global standards like DCGI, WHO, GMP for the quality measurements. Latest and hi-tech machinery is used in formulating and manufacturing innovative medicines. Dedicated and skilled professional lead us to the top level with their hard work. All these features make us capable of serving people with our quality medicines. A wide range of medicines allows us to give an opportunity for PCD pharma franchise. We ensure a reliable market support for better business. We are dedicated for the customer satisfaction with quality services. The company believes in transparent and ethical deals with its associates that make us best among others. Join us and make your franchise business bright with critical care drug solution.